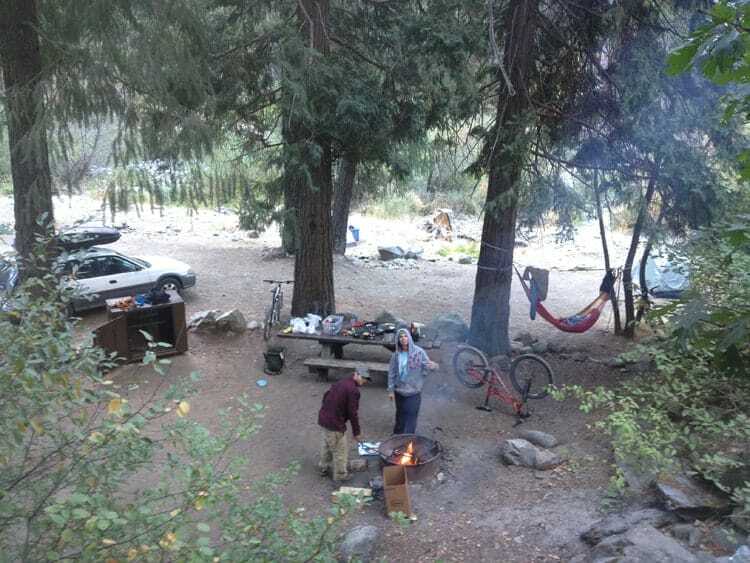 This post comes from Cody Buchholz, a guest contributor for Tahoe Mountain Sports who is completing his culinary degree in Napa, California, while anxiously awaiting his return to a life filled with adventure in the mountains. 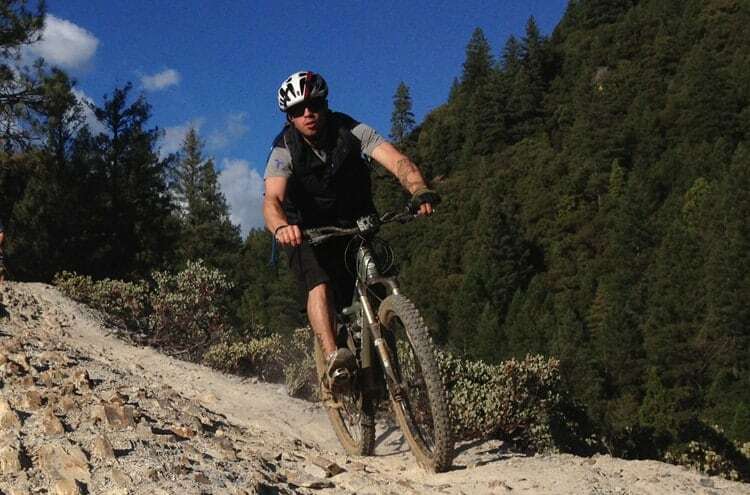 After an epic drive through the beautiful Sierra Nevada countryside I pulled into Downieville, a small town near the Sierra Buttes known for some of the most epic downhill singletrack in California. Upon arrival I found Adam and Eric getting the taking a refreshing dip in the cool Yuba River that runs through town. After a quick lunch and discussing logistics at one of the few restaurants in town, we set up camp nearby and still had just enough light for an evening ride. Adam wanted to try out the Wi-Fi capabilities of his new ION Air Pro Wi-Fi camera, stoked on the fact that he could send the videos to his smartphone and review them immediately. After a late 5 o’clock departure we found ourselves in an ‘everyman for himself’ sprint for the first mile of the North Yuba Trail. This turned out to be a good wake-up for our legs and an intro to the type of rock and rubble we could expect during tomorrow’s legendary downhill ride. After an hour or so of climbing we made it to what we determined to be the top. I had dropped my sunglasses about 20 minutes into the climb and wanted to ride back down to find them, so instead of completing the intentional loop we turned around and rode down what we had just climbed. BAM! Adam’s (old and tired) chain popped off under pressure. Luckily, one of us had a chain break. Wait… No, we didn’t. We used pliers and a key to get it back together, which explains why it broke again a few minutes later, followed shortly by my chain. Two thirds of our crew was now chainless at 7:00 p.m. as darkness set over the valley, but spirits were still high. We mashed downhill at high velocity with tunnel vision, only Adam with a headlamp at the front of the pack. It was exhilarating to fly so fast through trees in the dark, hesitant to hit the brakes because we didn’t have chains to regain speed. The nervous excitement prevalent in my friends’ hollers added even more fun to the adventure. The next morning we rose to some of the most delicious biscuits and gravy I think I’ve ever had, prepared on Adam’s favorite campstove. We washed it all down with some hot and rejuvenating campfire coffee, filtered through Eric’s sweet new GSI Java Press. After a big breakfast and a caffeine-boost we were ready to slay some more singletrack – Butcher Ranch Trail, to be exact. We still had to fix two chains before we could ride, but there wasn’t an open store around that sold bike tools. Thanks to small-town hospitality the local hardware store employee took a five-minute break to drive home and grab us some tools and chain lube. Refreshed, repaired and anxious to ride, we shuttled the 45-minutes to the top of a 17-mile, 5,000’ descent over sick banks, laid-out rollers, root jumps and rock ramps, side skirts, tik taks and willi wonks. Dirt clouds were everywhere, rocks were flying, sweat was dripping and endorphins were racing. All three of us were unstoppable, practically floating inches above ground. I could tell you what it was like, but it wouldn’t do the trail justice. 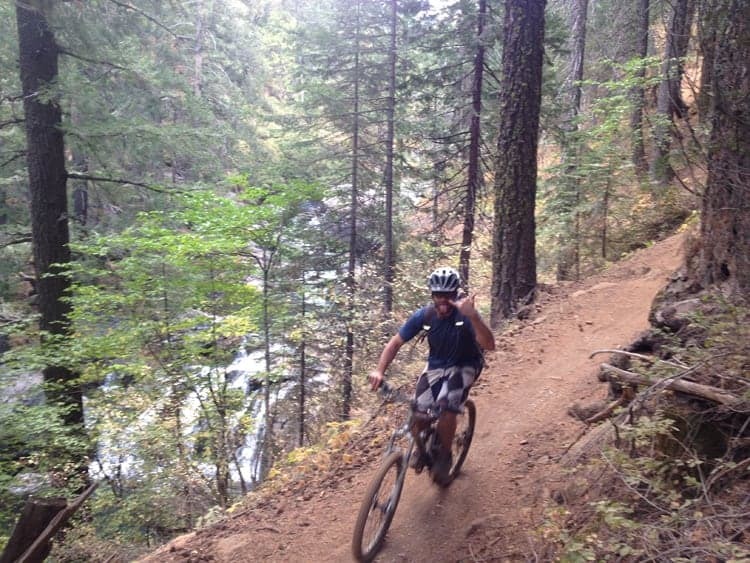 It’s a good thing we brought back some good Downieville downhill POV footage. The whole ride was an indescribable experience. The views are majestic and the switchbacks are top notch. 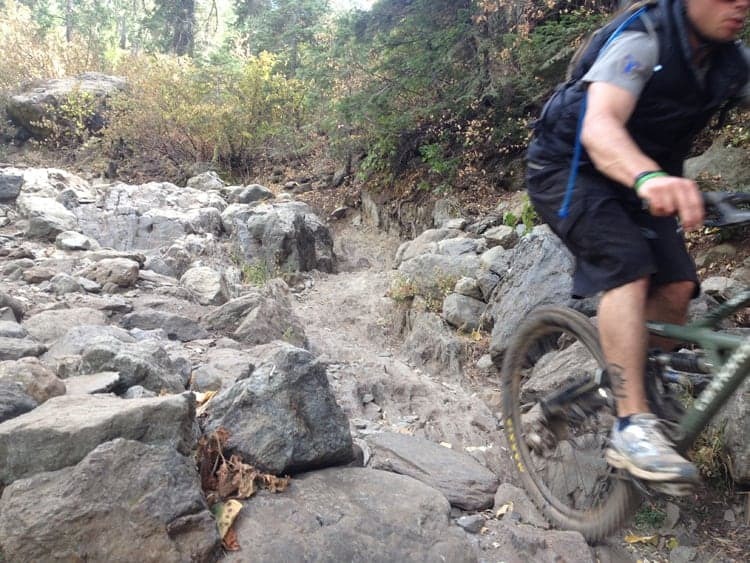 The trail is well ridden and it seems like every bump and every hit has been there for years. If you don’t hit it, chances are you’re missing out because the landing is probably good. 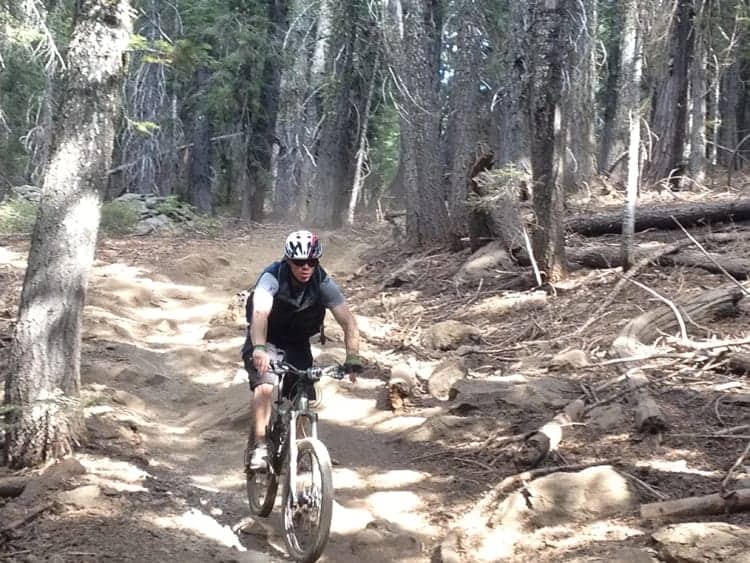 Fortunate is the mountain biker who makes the pilgrimage to Downieville.